As much of the aviation industry suffered through the effects of the historic economic downturn during the last year, the air show industry experienced double-digit growth and, in some markets, record attendance. The International Council of Air Shows (ICAS) estimates that between 12 million and 13 million people attended at least one of the 400 air shows offered in the United States between late March and mid-November of this year. World-class entertainment at family-oriented prices has been the big draw during these difficult economic times. At every one of these events, general aviation was king for the weekend. Talented pilots and their often exotic aircraft performed and were on display for tens of thousands of people to see. The events were fun, exciting, completely focused on aviation and enormously popular. What does all of this mean to the GA community? Plenty. By any measure, general aviation is facing challenging times. Even before the current financial difficulties, new student pilot starts were down, the average age of active pilots was increasing, and the number of active pilots had dropped by nearly a third during the previous 20 years. Since the economic downturn, general aviation has been pilloried by pundits and politicians looking to score cheap rhetorical points. And GA airports have been written off as “unnecessary” and “wasteful” by national news organizations. The GA community has responded in impressive fashion with a sophisticated and effective public relations campaign that has highlighted the many and varied benefits that general aviation offers, as well as the critical role that it plays in the larger economy. The undeserved and unsubstantiated criticism has motivated and mobilized the GA community to do as a group what our individual segments probably couldn’t do alone. Going forward, it’s clear to many in the air show business that our industry has a critical role to play in helping to communicate this important message to our country’s elected leaders, journalists and citizens. Admittedly, when you’re a hammer, everything you see looks like a nail. But from our perspective, air shows look like just the right public relations tool at just the right moment. Air shows offer a festive and positive atmosphere for the GA community to speak to the American public on its own terms in an environment of its own making. As a group, air show pilots are general aviation’s most visible, passionate and articulate advocates. “Air shows are the public relations piece of aviation,” agrees National Aerobatic Champion and air show star Patty Wagstaff, who performs in front of five million spectators at 18 shows each year. “Air shows expose people, especially young people, to airplanes and pilots, and to the sight, smell and feel of aviation.” Indeed, much of the enthusiasm that drives the air show business emanates from the near-evangelical zeal of air show professionals preaching the gospel of general aviation. 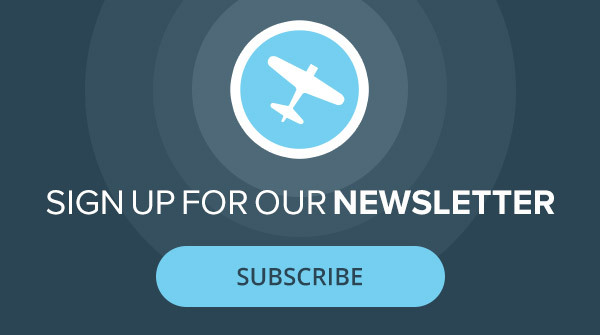 How can you help channel the collective enthusiasm of—literally—millions of aviation enthusiasts (attending hundreds of air shows each year) toward promoting and strengthening the GA industry? You can start by providing your support to these important aviation events. Air shows often are underfunded and understaffed. At a minimum, make a point to save the date, buy a ticket and attend your local air show. If you’ve got the time and interest, consider offering your services as a volunteer. If you belong to the local chapter of a national aviation organization, work with your organization to support and become more involved with your local air show. It takes an enormous amount of help to organize and conduct such a complicated and multifaceted event during a single two-day period each year; your local show could use your help. Just as importantly, recognize the unique opportunity that air shows bring to the communities in which they’re held. Every one of them offers the ideal backdrop against which to frame the positive story that the GA community has been working so hard to tell during the last year. Buy a booth. Take an ad. Rent a chalet. Offer to put your aircraft on static display. Organize and conduct your own personal promotional campaign, and use the air show to help make your point. Use this chance to turn thousands of spectators into thousands of GA supporters. More than 10 million citizens, voters and prospective customers will visit a local air show next year. Is it possible that they represent the as-yet untapped resource that could be the decisive difference in the undeclared war currently being waged against the GA community? Perhaps, but not unless and until we harness that potential and put it to work. John Cudahy is a private pilot who has served as president of the Leesburg, Virginia–based International Council of Air Shows (www.airshows.aero) since 1997.